Q. My 22-year-old daughter has a mild case of PCOS and we are wondering about the effect of coffee on this condition. There is conflicting advice about this online. What are your thoughts? A. You’re right! There are conflicting points of view regarding coffee/caffeine and PCOS. Many PCOS experts list coffee as a food to avoid. Yet this PCOS support website recommends coffee in an article on “Best beverages for PCOS”. Much of the confusion centers around the effects of coffee on insulin sensitivity. As you may know, PCOS sufferers are more likely to develop insulin resistance, which increases the risk of developing Type 2 diabetes. Caffeine appears to have short-term negative effects on insulin sensitivity. After drinking a cup of caffeinated coffee, your body is temporarily less sensitive to the effects of insulin. And yet, over the long term, regular coffee consumption improves insulin sensitivity and significantly reduces the risk of Type 2 diabetes. Another concern is the effect of coffee on estrogen levels. (PCOS is also characterized by hormone imbalance). Studies have shown that coffee affects estrogen levels but the effect is different depending on your race. In young Asian women, coffee slightly increases estrogen levels. But in young white women, estrogen levels were lower in coffee drinkers. (Coffee had no significant effect on estrogen in black women.) In all cases, however, the effects were too small to have any clinical significance. To my knowledge, there are no studies looking at how coffee (or the absence of it) affects PCOS sufferers, so either stance is really speculation. If it were me, I think I’d weight the long-term reduction in insulin resistance more heavily than the short term effect. If you wanted to play it safe, you could always stick to decaffeinated coffee, which is less likely to trigger short-term insulin resistance and still affords long term protection against Type 2 diabetes. Are decorative pumpkins and gourds edible? I had no idea coffee affected insulin sensitivity short-term. Since being diagnosed with insulin resistance 6 months ago, I’ve been intermittent fasting with an 8-hour eating window. Coffee and green tea make it much easier to skip breakfast and last until my first meal at 12pm. How is intermittent fasting helping you ? My question is can i drink black coffee while having PCOS ? 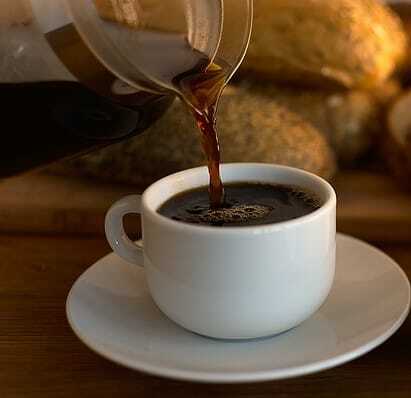 Im a coffe lOver….coffee is my stress reliever….Can i drink 3 n 1 coffee?